It literally translates to “sleep well” so it pretty much spot on means the same in Korean as it does in English. That last little bit, “yo” is used to make the expression polite and you would normally use it with people older than you. However, jal-ja-yo is mainly used when talking to an older friend. If you want to turn this into a question and ask “did you sleep well?” you would say “jal-jass-eo-yo?” (잘 잤어요?) Naturally, you can remove the “yo” at the end here as well if you want to use this phrase with friends or people who are younger than you. 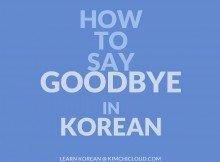 You might see a resemblance with the phrase for “hello” in Korean in that first little part “annyeong.” It literally means “peace” and this whole phrase translates to “sleep peacefully.” You would mainly use this when talking to old people or people of higher status. Moreover, using this with a friend would sound awkward, to say the least. 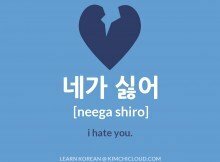 Between friends, you could also use the Konglish word 굿나잇 (it sounds almost as it would sound in English). It is especially common when texting and on the Internet. 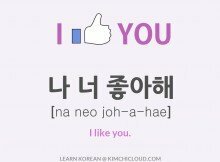 For more common words and phrases, please check out our Everyday Korean lessons! And please like or share if you found this lesson useful. And as always, if you have any questions or something else you want to tell us, make sure to let us know by leaving a comment below and we will do our best to help you out! I’m glad I stumbled across your site; I love your Word of the Day posts – nice, big, bold illustrations – with one word at a time. Just what I need. I’m barely learning the Korean alphabet, so I can’t handle long sentences. 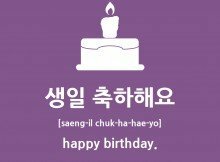 And so many Korean language sites show the text in such tiny font that I can barely make it out. hello, I sent 잘자 to someone and she reply 못자 . what is 못자? Karen, thank you for the kind words! 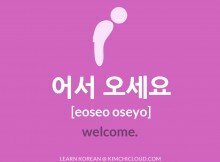 Hi, want to learn korean.